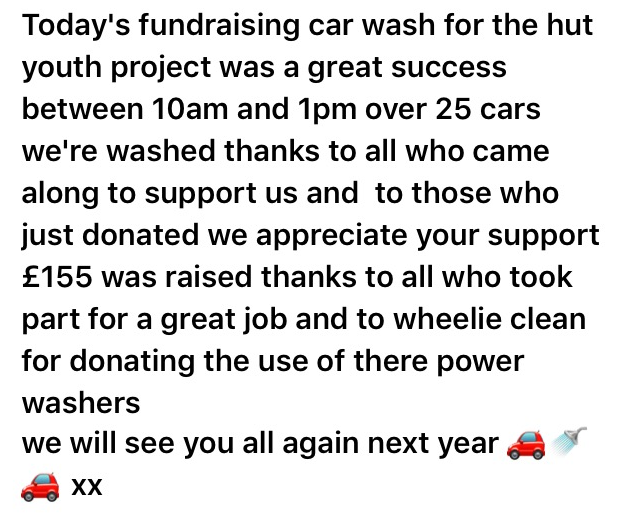 The Tarves Hut project held their Car Wash to raise funds for the running of the HUT youth project based in the grounds of Tarves Primary School. They sent TBC News the following thank you. Susanzze Cattanach on behalf of the HUT project group.